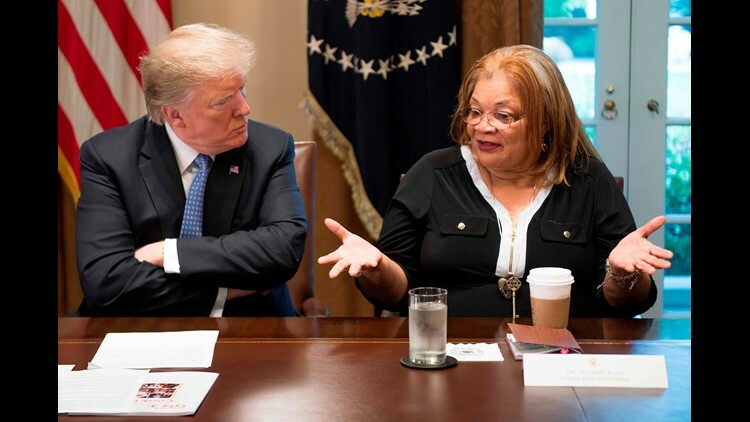 President Donald Trump listens to Dr. Alveda King, niece of Dr. Martin Luther King Jr., during a meeting with inner city pastors at the White House Aug. 1, 2018. WASHINGTON – When Alveda King was invited to the White House last month, the Atlanta pastor and niece of Martin Luther King Jr. brought with her a list of more than 90 names – all federal prison inmates seeking presidential clemency. King's list was compiled with the help of her goddaughter Angela Stanton, an Atlanta author ("Lies of a Real Housewife") and reality show cast member (BET's "From the Bottom Up") who served time in prison herself for her part in a stolen car ring. Last week, another reality television star – Kim Kardashian West – appeared at the White House, with the lawyer for Chris Young, a Tennessee man serving a mandatory life sentence for drug trafficking. Along with other law professors and advocates, she got a meeting with top advisers Ivanka Trump and Jared Kushner, the president's daughter and son-in-law. And a loose coalition of activist groups, criminal justice reform advocates and lawyers – all coordinated by the conservative Koch Institute – has been assembling a list of thousands of prisoners they believe are worthy of the president's constitutional power to pardon crimes and commute sentences. Those efforts highlight what's been an often chaotic, ad hoc approach to clemency under President Donald Trump. He has granted pardons to people who haven't applied for them, bypassed the formal Justice Department review process, and focused his pardon power on a handful of politically charged, high-profile cases. Now, the White House is attempting to instill some discipline to the process as part of what they hope will become a signature piece of Trump's efforts at criminal justice reform. That's according to participants at a White House meeting last week, in which officials heard from a dozen law professors, advocates and attorneys that the clemency system is broken. 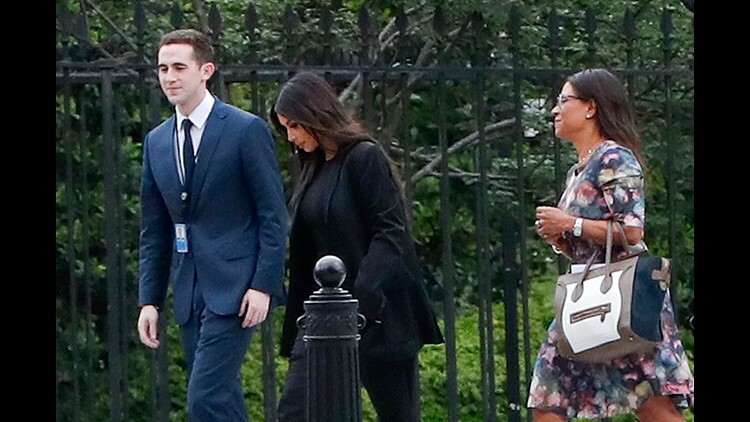 Kim Kardashian, center, arrives with her attorney Shawn Chapman Holley at the security entrance of the White House in Washington May 30, 2018. Discussions are "mainly focused on ways to improve that process to ensure deserving cases receive a fair review," said deputy White House press secretary Hogan Gidley. The meeting was convened by Ivanka Trump and Kushner – but neither the president nor the White House lawyers participated. A senior White House official, speaking on condition of anonymity to discuss internal White House discussions, said the White House counsel's office was engaged in the effort and looking at several options for how to overhaul the system. "We were very critical of the process as it stands," said Brittany Barnett, a Dallas lawyer who founded the pro-clemency Buried Alive Project. "We definitely can't keep doing these one-offs and it can't just be celebrity endorsements." Barnett, a Democrat, wasn't alone. Calls for reform came from across the political spectrum. On the left: Kevin Sharp, a former federal judge appointed by President Barack Obama; Van Jones, a former Obama official who has described himself as "to the left of Pluto;" and human rights attorney Jessica Jackson Sloan, the mayor of Mill Valley, Calif.
On the right: Heritage Foundation scholar Paul Larkin; Koch Industries lawyer Mark Holden; and Leonard Leo of the Federalist Society, known for his influence in Trump's Supreme Court picks. Also attending were law professors Rachel Barkow and Mark Osler, who argued that the president should abolish the Office of the Pardon Attorney, the Justice Department office that has handled pardons and commutations in one form or another since 1865. Obama relied on that office to process more than 20,000 applications through his clemency initiative, an effort to effectively resentence drug offenders serving long minimum sentences for what are now considered more minor drug offenses. Obama ultimately shortened the prison sentences of 1,715 people. But he also left office with a record 11,355 petitions pending, resulting in what critics have called a clemency "lottery" in which it's often unclear why some inmates are freed and others stay behind bars. Justice Department control of the process also comes with a built-in conflict of interest: The same officials who prosecute offenders decide whether those same people are worthy of presidential mercy. The Justice Department "shouldn’t be the gatekeeper because that means the gate never opens for far too many deserving people," Barkow said. Trump has taken the opposite approach, granting pardons with no input from the pardon attorney. But those who do have input are often celebrities, political commentators and Republican insiders. 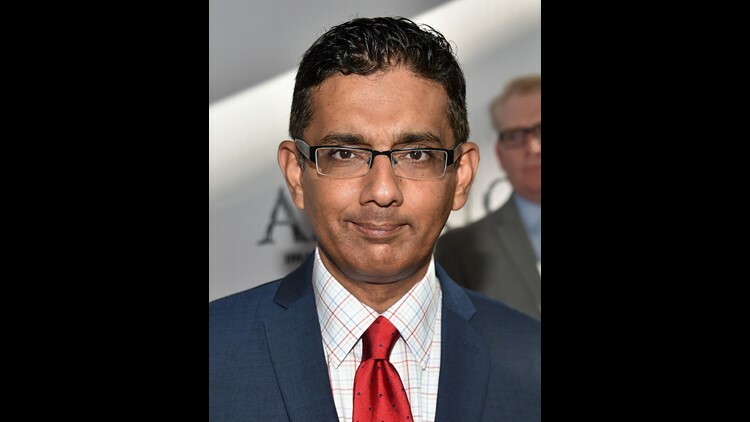 He pardoned conservative author Dinesh D'Souza on the recommendation of Sen. Ted Cruz, R-Texas. His posthumous pardon of heavyweight boxing champion Jack Johnson came after a personal plea from actor Sylvester Stallone. Other cases were championed by Fox News and other conservative media outlets: His first pardon, of former Arizona sheriff Joe Arpaio, came days after he telegraphed the decision in a Fox News interview. Former vice presidential aide Scooter Libby, former Navy submariner Kristian Saucier, and Oregon ranchers Dwight and Steven Hammond were also favored by conservative commentators. 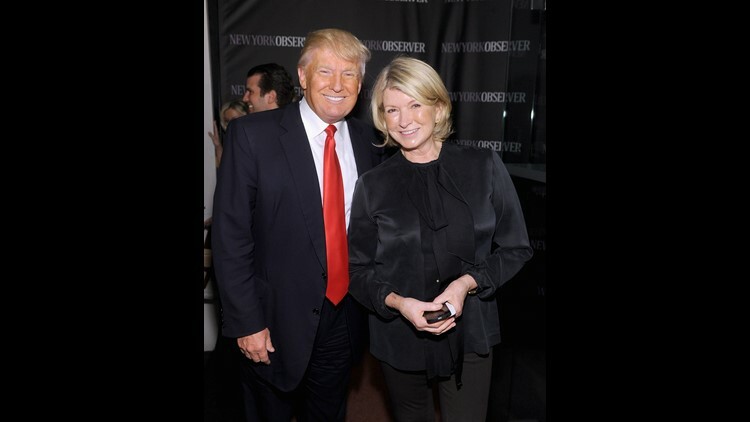 Donald Trump and Martha Stewart attend The New York Observer Relaunch Event on April 1, 2014 in New York City. He's offered pardons to two celebrities who appeared on his hit television franchise "The Apprentice": lifestyle guru Martha Stewart and former Illinois Gov. Rod Blagojevich. And he even suggested a pardon for the late heavyweight boxing champion Muhammad Ali, who doesn't need a pardon because his conviction for evading the draft was overturned by the Supreme Court. "What happens is you end up with cases making their way to the president in a non-organized manner because you don’t have a neutral party making the recommendations," said Larkin, of the Heritage Foundation. "I give them kudos for paying attention to this issue, because this is important to a lot of average people," he said. "Granted, a lot of the people who got pardons were well-known or celebrities, but those might have just been the people who got to his desk." Those celebrity cases include Alice Marie Johnson, the 63-year-old Memphis grandmother who Trump released from prison in May after her cause received a social media boost from Kardashian West. Afterward, Trump himself put out a sort of cattle call for clemency applications – even inviting professional football players to send him names rather than protest the criminal justice system by kneeling during the national anthem. The result has been a kind of clemency grapevine network. "People don’t understand. The White House has an open-door policy, believe it or not," said King, the Atlanta evangelist who brought the White House a list in August. Stanton, in turn, had help from advocacy groups like Can-Do Clemency, an advocacy group. "There are people who have reached out to me personally," she said, but more organized groups "have a vetting system that we don't have yet." • Michelle West of Michigan, a first-time offender who has served 25 years of a life sentence on drug charges but who – like Alice Johnson – was denied clemency by Obama. • Santra Rucker of Maryland, who has served 19 years of a 23-year sentence for a drug conspiracy and was twice denied by Obama. • Michael Pellatier, a 62-year-old paraplegic man from Maine who has served 12 years of a life sentence for marijuana trafficking. King was reluctant to discuss the list and was careful to note that she didn't hand the list directly to Trump. "I didn't just put a list in the president's hands and say, 'Be sure to let these people out,' " she said. "This is the way I work this. President Trump is a leader. He's at the top. He has great people working for him," she said.